In the least surprising news of 2016, China is going to be providing further investment overseas. Kuala Lumpur is about to become home to the largest underground city in Malaysia, named the Bandar Malaysia, the city is going to be developed just outside the main city centre, at the vastly under-used Sungai Bersi Airport; the underground is going to form an integral part of the China Pan Asia Rail network. China Railway Group Ltd (CREC) are going to spearhead the construction of the project, which will enable local citizens and tourists alike, more efficient access to seven neighbouring countries and will become an integral part to the ‘modern’ silk road scheme being implemented by China. Prime Minister of Malaysia Dato Seri Najib said, “Bandar Malaysia will serve as Malaysia’s gateway to the world through the High Speed Rail to Singapore with direct links to Kuala Lumpur International Airport and Changi Airport, and the proposed Pan Asean Rail Transit to Bangkok and beyond”, boosting local economy and trade. 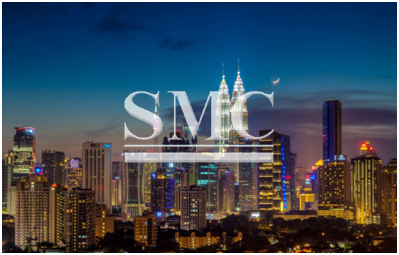 Malaysia based developer; Iskandar Waterfront Holdings and award winning UK architect Broadway Malyan have also been chosen to participate in the project, alongside CREC. The project is going to be completed gradually over the next 20 years, CREC and Iskandar have “acquired 60 percent of the equity in the Bandar Malaysia Project from 1MDB Real Estate for RM 7.41 billion”. The project is going to be taking inspiration from the impressive underground city in Montreal, the Bandar Malaysia project team have visited Montreal to study their current rail network and infrastructure system to ensure their works will embed essential features. In addition to being a transportation revelation for the area, the project is also going to consist of impressive facilities. It will include an indoor theme park, shopping mall(s), as well as indoor gardens and canals. CREC have already displayed their commitment to the project by investing $2 billion to build their regional centre at the site of construction.